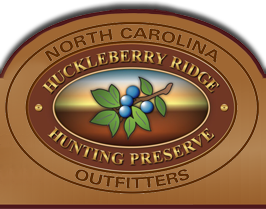 Huckleberry Ridge Hunting Preserve is located in northeastern North Carolina, encompassing Edgecombe, Carteret, Bertie, Beaufort, Martin and Halifax counties, on the banks of the Tar River, Deep Creek, Fishing Creek, Bond Creek, and Pamlico Sound. 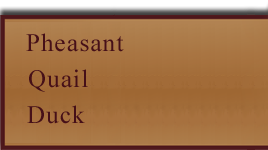 Our prime setting offers a unique hunting location that includes natural beaver ponds with both migratory and released ducks as well as pine ridges, hardwood bottomland and areas with natural grasses that provide an ideal environment for black bear, whitetail deer, wild turkey, dove, and upland game birds, including quail, pheasant, and chukar partridge. Go to Google™ Maps for area maps and detailed driving directions from your specific location. Please call for directions if needed.